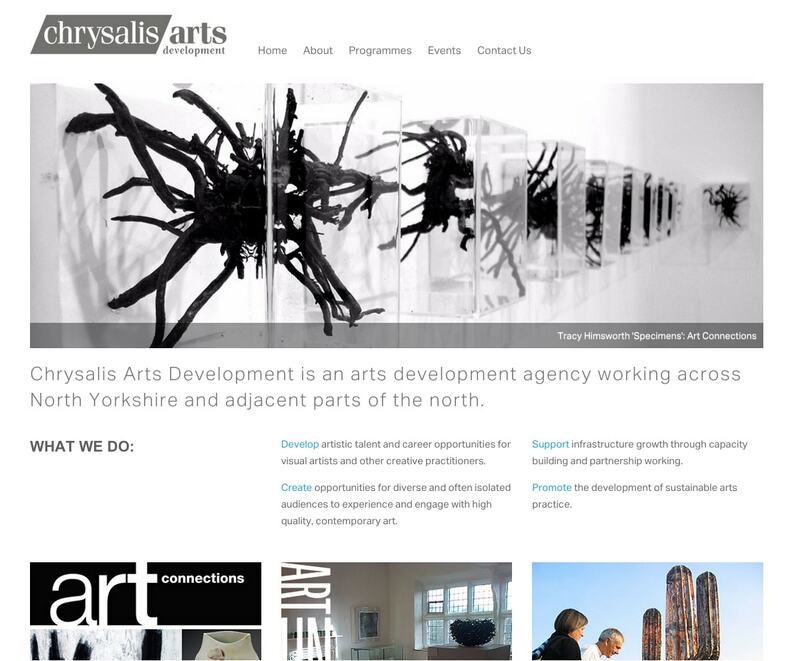 Chrysalis Arts Development is an arts development agency working across North Yorkshire and adjacent parts of the north. 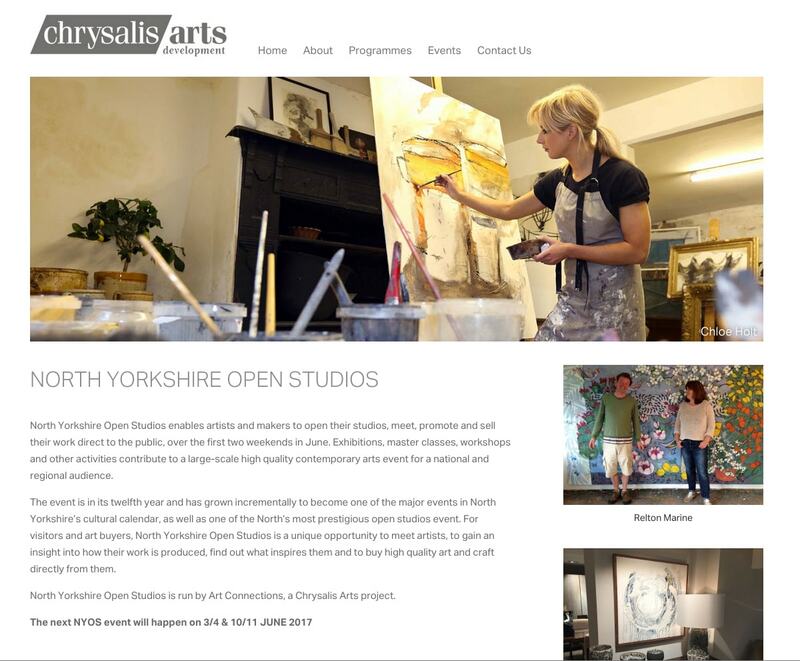 They develop artistic talent and career opportunities for visual artists and other creative practitioners. 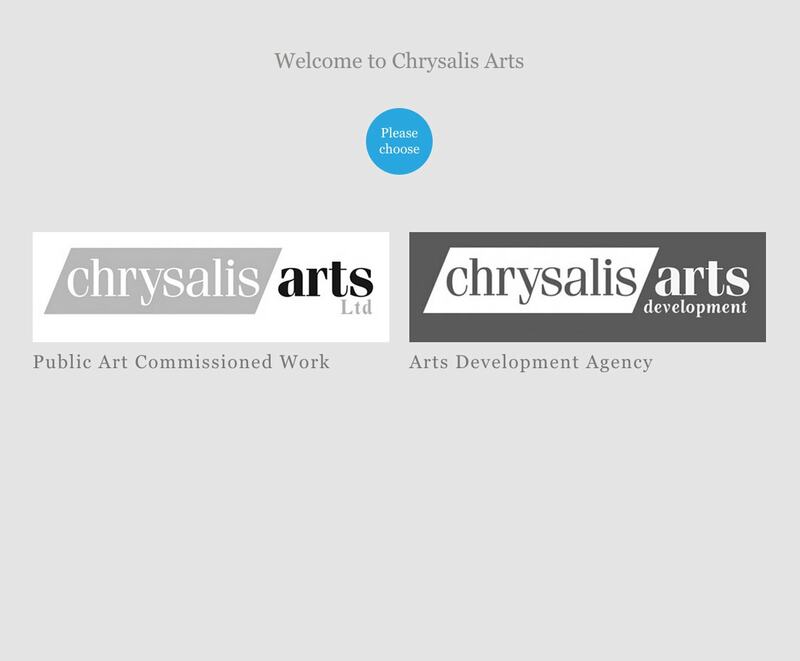 To ensure that visitors to the Chrysalis Arts website are directed to the appropriate arm of the organisation, we developed a simple, clear splash screen for both the Development site and the Public Arts site. 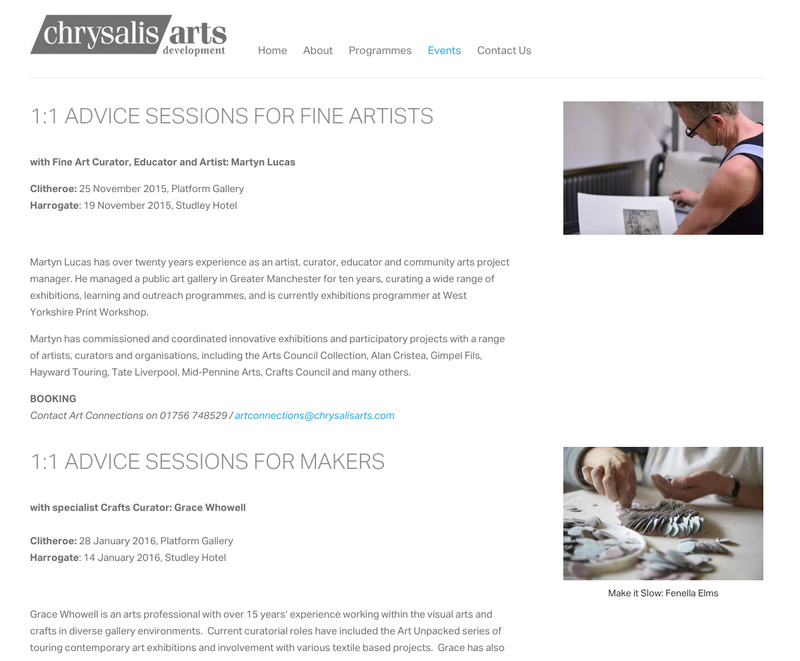 The website carries through the clean, contemporary design of Chrysalis’s other sites.